The fool says in his heart, “There is no God” (Psalm 14:1). Father God looks down on earth to see if anyone understands or makes any attempt to seek Him. He sees you. He is a gracious God, beyond what you or any human being can comprehend. He loves you and will forgive you. He will take you under His wing of protection and providence. Are you beginning to wonder if He is real? If you are, gather up your courage and ask Him to reveal Himself to you. Don’t be afraid. He made a way for you to have a relationship with Him through Jesus Christ. Jesus paid the debt for all of your sins. He gave us the Bible to help us understand who He is and why He did it. Accept the gift and be saved. All heaven will rejoice. You will have an unseen moment of fame greater than any you could possibly imagine here on earth. We are praying for you. 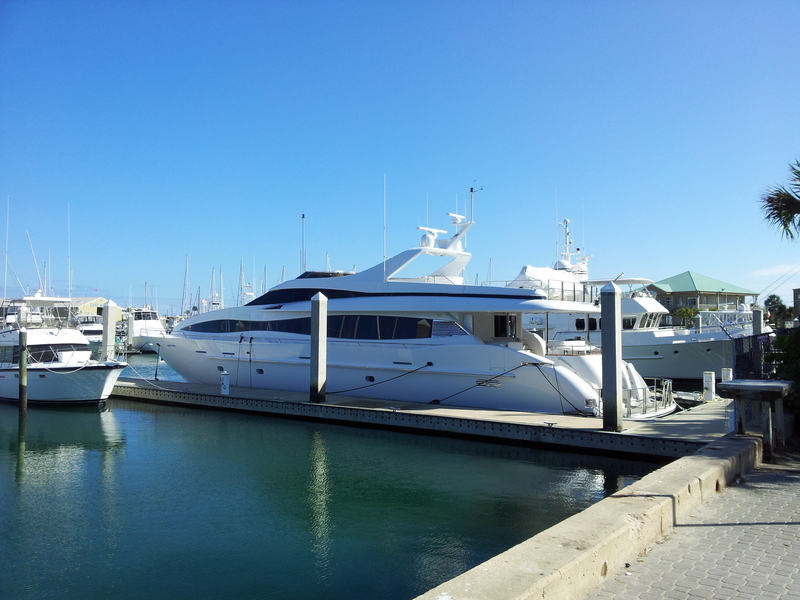 Port Canaveral hosts all kinds of boats from cruise ships to tiny fishing boats. Contemplating my current work in progress, Mystery On the High Seas, I went over to the Marina to find the proper yacht for the scenes in the book. Once again, we were blessed to find a magnificent ship. We found this lovely little one hundred ten foot, twenty-two million dollar, private yacht. This beautiful piece of artistry looked like something out of a fairy tale. I could only imagine what it looked like inside. David found pictures online. There are four staterooms on the bottom of three decks, which also holds the engine room. The engine room is the perfect place for a murder. Besides being near the staterooms, it also has a space under the engines to house any hidden bodies! The middle deck contains a salon, which is perfect for the final scene where the all the passengers must gather to find out who dun it. Yes, The Prestige Lady is the perfect megayacht for my story. I went to this website to find the pictures of the interior of the yacht and also saw some blueprints of each deck, which were very helpful.